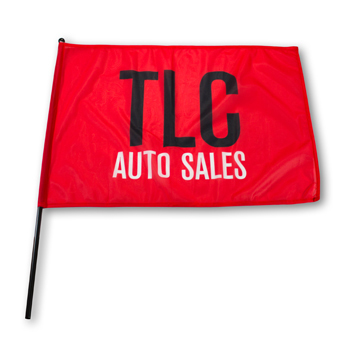 Our rally flag is an inexpensive cheering product that’s great for giveaways at athletic events, political rallies, and any stage-based events. Decorated on one side only and double stitches on edges. Prices may vary.